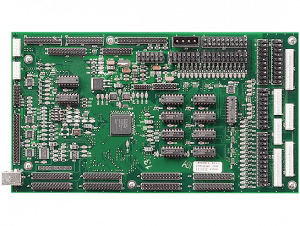 The PD-16 is modular 16-circuit board that’s generally used to control high-current devices on a pinball machine, such as coils, motors, magnets, etc. 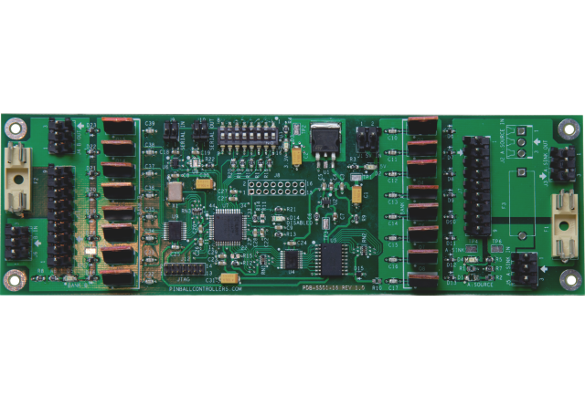 It can be driven directly by a P3-ROC, indirectly through a P-ROC with a PD-Master, or indirectly (through a high-speed RS-485 master device) by various other microcontroller-type devices. 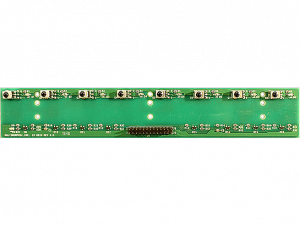 Each PD-16 driver board has an RS-485 serial interface so that it can chain to other drivers boards. 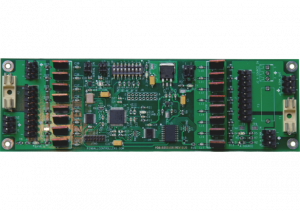 Therefore, you can use as many driver boards as your application requires. Further, since the serial interface will continue to work at distances well over 10 feet (100 feet even), you can locate the boards in the backbox, under the playfield, or anywhere else in your machine. The Power Driver 16 has 16 n-channel MOSFETs for control of up to 16 unique features. The transistors are grouped into two banks of 8. Each bank contains a DC power input, and a fused (5x20mm) power output. Each circuit has a local flyback diode to protect against back-EMF. 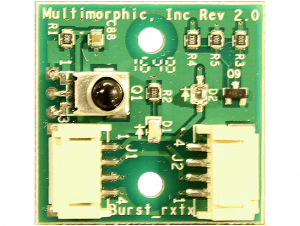 Note – version 2 boards are almost identical to version one boards. The only differences are the communication bus connectors (J9 and J10) are now 3 pins (with an optional ground pin) instead of 2, and the pin numbers on those connectors are reversed.